Once I am satisfied that I have the information I need I will complete a comprehensive financial plan for you and email it back to you for review. After you've read it over, we will organize a time to discuss the options I have provided. From there you will decide what, if any options you like. If you choose to be my client, you will use a code I send you to open accounts at WealthSimple. I am paid 0.60%/year off of whatever you have invested there. Now you're my client and I provide you with ongoing service, annual reviews, timely advice and strategic tips, emotional support, comic relief and so much more. It's designed to save you money. It works and there is no risk to try. Why You Can Trust This Little Company With Your Money? I am very well aware that financial planning is a personal experience. I mean, it’s your money, you worked hard for it and you definitely don’t want to just trust some random person or company with it. I assure you that this process is completely safe and you have nothing to worry about, but before I go any further on why that is, I want to take a moment and explain how I came up with this concept. When we are working on getting our Certified Financial Planner® designation we have to do something called a Capstone Course, in which we are given all of the financial information about a fake couple and we have to develop a financial plan for them. During that process, I said to myself, if I could somehow get people to tell me their story, what they want, and what they have, I am absolutely certain that I could show any Canadian how to improve their financial situation, and/or save them some money in investment fees. The problem is that even when you are people’s financial planner and they trust you, they still find it hard to show you all of their information in some cases. I always felt like a big part of this was because people think their advisor would just try to sell them something else if they knew. If you are one of those people, I urge you to stop doing that and let your Certified Financial Planner® know all of your information. I’ll stress again, that you need to make sure that whoever you’re getting your advice from has that designation. Them knowing all of the details of your personal financial situation could make a huge difference. So how do I get people to trust me with all of their information? The first thing I needed to do was to find a way to just provide the service of giving advice. I could have opened a fee-for service practice and meet with clients individually and that was an option, but then my overhead would be way higher and I would have to charge at least $1,500 for that service (which is pretty standard in the industry). That then defeats the purpose of being able to help and educate all Canadians. Well, I thought, I could have them input their information online to reach a larger potential client base and drastically reduce my overhead and time commitment with each client by automating a lot of the process. I could then do the videos and write blogs to let people know what sort of planning strategies I like to suggest, educate them about their options and let them get to know me over time. So you fill out some forms with your story, what you want, and what you have. At this point I do not need to know anything about the you, the potential client, other than your name, birthday, Province of residence and email address. However, to be honest you could create a fake name and email address if you’re still super skeptical. I would prefer you not, but whatever you’re comfortable with works for me. As far as your money is concerned, I need to know three things; where it’s invested, what type of account it’s in (RRSP, TFSA, Non-registered, etc.) and what it’s invested in? If you send me a photo or scan of your statements (which I most likely will be asking to see), you are more than welcome to block out any personal information, such as your name and account number. So now I have done two things to reduce costs and accomplished my primary initial goal of getting the information I need. I have marketed to, and more importantly, hopefully educated a mass clientele online, instead of spending a whole bunch of money and time doing more specific marketing, trying to book appointments and having long first meetings where I have to gather information that I most likely won’t completely get. After you send me the information back, I will make sure I have everything I want and if I do, I will let you know two things; what I estimate you can save by letting me develop a plan for you and how long I think it will take me to complete the plan. From there, I develop a plan (should take no longer than 10 business days) and send it back to you to review. After you’ve had a chance to read over the plan, we can further discuss what options you’re interested in and how to implement them. This can be done over the phone, via email, Skype, or even in person if you live in the area. The steps will be easy to understand and implement. 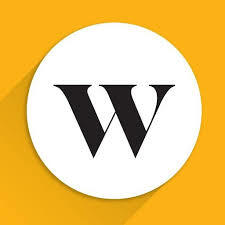 If you invest at least some of your money at WealthSimple, under my referral code, you will now be my client for as long as your money is there. You will be provided with ongoing service and advice for our entire business relationship. For this service, I will be paid 0.60% of what your account is worth every year, so if you have $100,000 invested with them, I will be compensated $600/year. Extremely valid and important question. At no point in time will I or K4 Financial ever handle, touch or manage your money. As a Certified Financial Planner® I am not an expert money manager. I know how to do it and could spend my entire days managing money, but that would never let me focus on giving the other advice you need. You have to think of me and any other financial planner as your family physician who knows all about your situation, but also knows when to refer you to a specialist. In the case of your money, I believe that I am sending you to the best specialist in the country, which in my opinion is WealthSimple, and if that opinion ever changes I will change who I refer you to. Why would you trust WealthSimple? -Absolutely no hidden fees or sales agendas. But they can tell it a lot better than I can, so read this article to get more information. Also, I implore you to please do your own research if you’re still skeptical or hesitant. You’ll find a lot of good stuff from a lot of different sources. The only time you might find something negative is coming from a financial institution. What does that tell you? Now, your typical CFP® (Family Physician of Financial Planning) generally works for a much larger corporation and has to refer you to their investment specialists, otherwise they can’t make lots of money to please their shareholders. Those specialists charge a whole lot more to manage your money. Somewhere between 1.8% and 3.0% depending of the type of fund, the institution and some other stuff. Or you might find an independent advisor who can send you anywhere he or she wants, but their recommendations are most likely motivated by money as they are paid a commission off of your account, so usually they will send you to higher priced options or put you in funds that they have a bias for. This will still cost you about the same and puts your investment decisions in the hands of your Family Physician, who might be financially motivated to give advice that isn’t quite in your best interest, and not the Investment Specialist. Lastly, you have brokers, who are most likely very qualified in money management and they will be giving you low-cost options, but will be charging you based on the size of your portfolio and are most likely making somewhere in the range of 0.80% (plus fees for the investments and to the firm) to give you this advice and will only talk to you if you meet their minimum wealth requirements. I am generally ok with this model for investing as you’ll know what they make off of you, but usually they are so specialized in the area of Investment Management, that they forget about everything else and they are only accessible to a small segment of the population. What is your reason for not trusting this little company with your financial planning needs? Below is an estimate of what you’ll save in just investment fees and charges if you let us handle your financial planning needs. We’ll guess you’re being charged 2.0% (chances are, you are paying more). *This does not include the other value we will add. We’ll find ways to save you more money, decrease your taxes, protect yourself and your family, and work towards creating the retirement and life you’ve always wanted. One last thing you also need to really focus on is that this is happening every single year as your portfolio grows and you keep adding to it. The difference will be absolutely massive. Give us a shot. You won’t regret it.